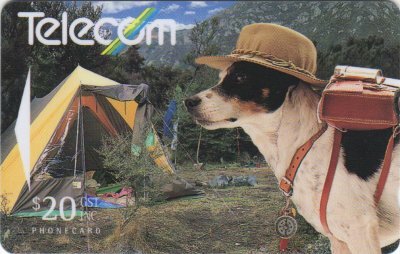 SPOT the Dog has become the unofficial mascot of Telecom and he is featured in this issue. 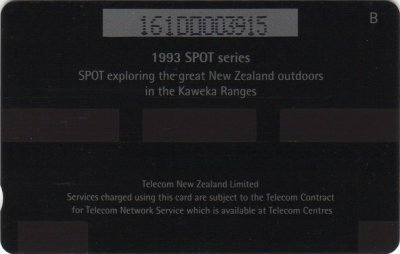 SPOT is an acronym for "Services and Products of Telecom". 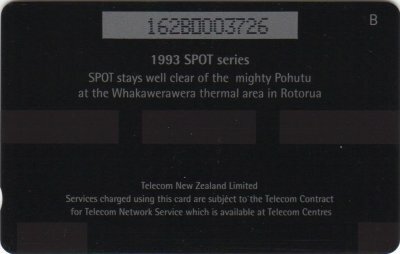 The two $5 cards are known with each others control number. i.e. 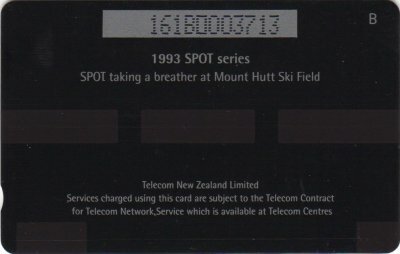 the Ski Field has 162B and Rotorua card has 161B. 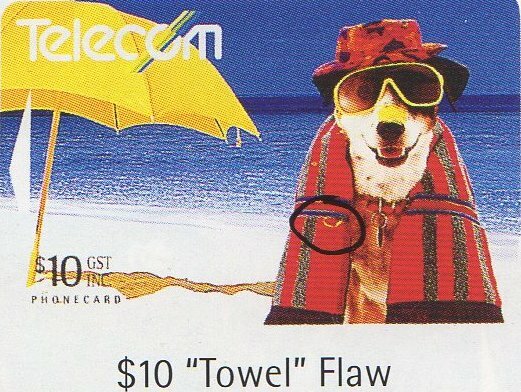 The $10 card has a constant flaw, known as the "Towel" flaw. It is a yellow mark on the towel, just below the vertical stripe on the left hand side. 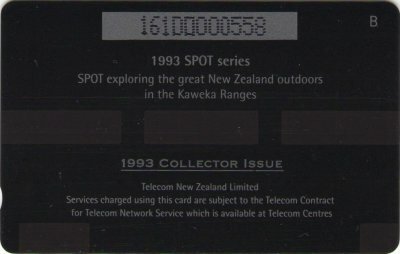 These cards were also included in the Collector Pack NZ-CP-14 and were overprinted on the reverse with 1993 Collector Issue and each card in the pack had matching serial numbers. 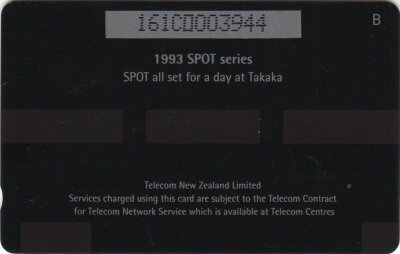 Additionally, these cards were also included in the Passpot 1994 Souvenir Folder from Cardex '94, and the Passpot 1994 Souvenir Folder from the Singapore Exhibition. 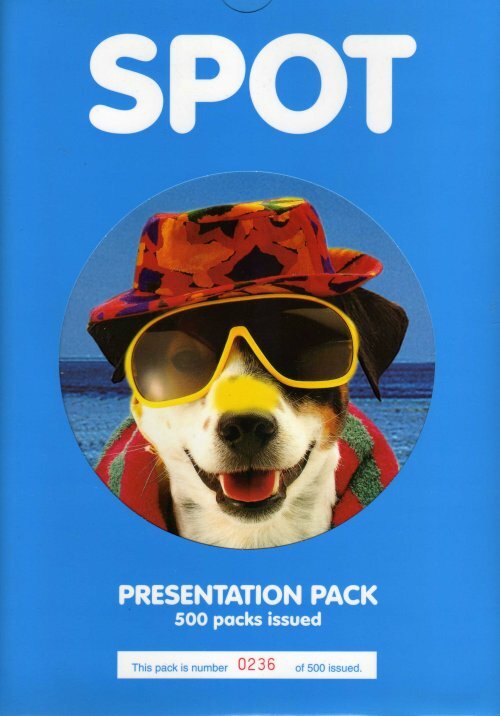 Spot At Cardex '94, Spot At Singapore Exhibition 1994, Spot At Cologne & Spot And Family Christmas. 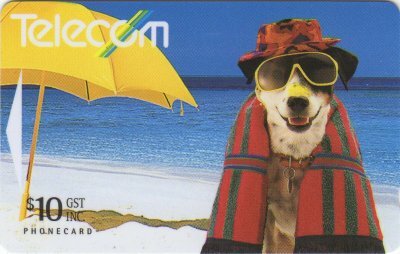 In December 1993 Telecom issued a Christmas card featuring SPOT, called "A SPOT Of Christmas Cheer", illustrated below. 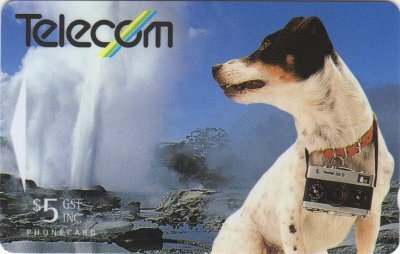 It is interesting that it did not contain a SPOT card, but a Fur Seal from the WWF series.